As a stylist, educator and platform artist direct from the UK, Chris is able to pack years of experience into his work and deliver new thinking and vision to excite audiences looking for inspiration. 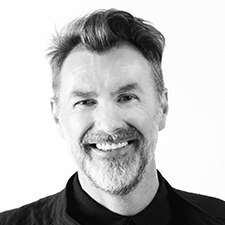 His work with Redken NYC started almost 20 years ago and has developed and designed haircutting and presentation programs for the Redken UK London Exchange. As a stylist, educator and platform artist direct from the UK, Chris is able to pack years of experience into his work and deliver new thinking and vision to excite audiences looking for inspiration at national and international hairdressing events. His work with Redken NYC started almost 20 years ago and has taken him to teach and perform across the globe, including Redken Symposiums. Chris is currently involved in developing the presentation skills of all Redken’s UK platform artists. He has also developed and designed haircutting and presentation programs for the Redken UK London Exchange. Chris has been facilitating at the London Exchange for many years and he is the first International facilitator to teach at the New York Exchange. This has helped Chris to perfect his personal presentation style and master the art of improving the creative and technical ability of experienced hairdressers. Aside from Chris’ facilitating work he also maintains a strong client base in the salon and is constantly involved in seeking new inspirations and helping those around him. Chris remains committed to taking hairdressing into its highest level.